Be known for what you love. When Klout first launched many people didn’t know what to make of their social media influence score. Those with low scores felt disempowered, with no obvious way of raising it. The goal of the new Klout was to put the power to grow your social sphere and influence in the hards of users. Empowering and enabling social media powerhouses, managers, and butterflies to target their core audience at just the right time, schedule posts, and give them a sneak peek into what was making their audience tick. In rebuilding Klout as a social media marketing and monitoring tool for everyone, your social influence score was now yours to control. 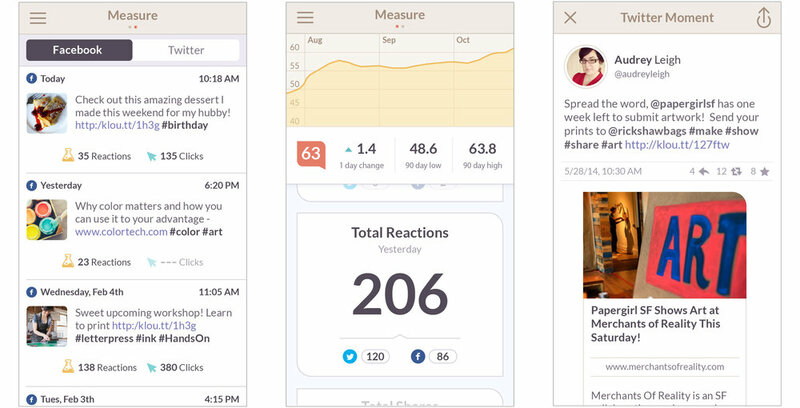 Klout was later acquired by Lithium Technologies and became part of Lithium's community experience. The product team and I were able to take Klout successfully through a company repositioning and rebrand. 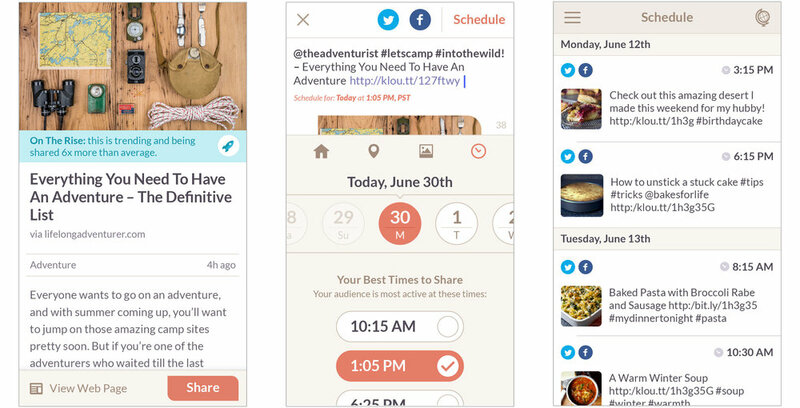 I was the product designer assigned to seeing the new Klout experience take shape on mobile. As such, I worked to ensure that the new company vision, user goals, user experience, visual look and feel, and marketing around mobile was in concert with the changes occurring in the business and consumer web products. I collaborated directly with a small group of mobile engineers and our mobile PM to realize Klout 2.0 and beyond, tailoring and crafting the new experience for both Android and iOS. With our pencils to paper and our heads together we identified key users, defined tasks, explored features, and mulled over interactions with frame-by-frame flows for all the Klout products. Our ideas were realized in sketchbooks and on whiteboards before high fidelity designs were crafted and tested with real users in face-to-face testing sessions conducted weekly throughout development. The end result was an experience that felt seamless across all Klout products, both desktop and mobile, consumer and business. While developing the iOS and Android apps, we often tested variations of designs side by side. Taking advantage of our two user bases, we experimented with future designs before fully rolling them out across both platforms. Testing was an important part of product at Klout, with weekly user tests to validate our designs. We worked quickly and iterated often, constantly reworking and improving the experience across all Klout products.